Or maybe she just didn’t want to see what was there? Either way, a source close to the Jenner/Kardashian clan is reportedly telling TMZ that Kris Jenner is claiming she had no idea Bruce wanted to be a woman during their entire marriage. The reality TV stars were married for 22 years. 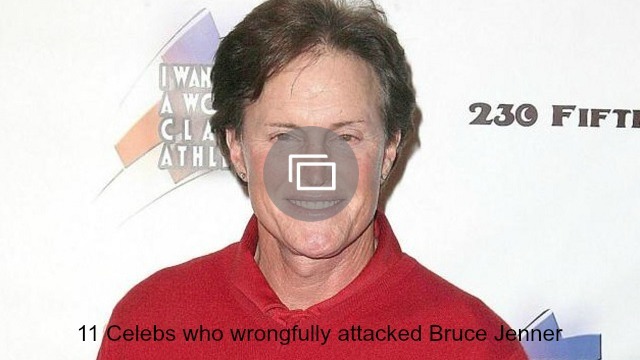 Kris has conceded that Bruce did reveal to her more than 25 years ago that while he liked to sometimes dress as a woman, he did not necessarily want to be a woman, claiming it was just a “tendency.” But still, the momager claims she never even saw Bruce dressed like a woman the entire time they were together. Sources close to Bruce claim that Kris did, in fact, know more than she is publicly letting on, but this new unnamed source is saying Kris didn’t know anything until after she and Bruce were officially divorced, and even then he told his children first. To throw even more confusion into the whirlwind of rumors, it was reported that Kris has threatened to sue Bruce if he speaks badly about her in his upcoming interview, which, of course, Kris is now denying. As we inch closer and closer to the Diane Sawyer tell-all interview, I am sure we are all waiting with bated breath to see and hear many more details straight from Bruce’s mouth. But we do have the world’s first pictures emerging of Bruce wearing a dress, which apparently were taken at his Malibu, California, to show you. They were posted by the New York Daily News.